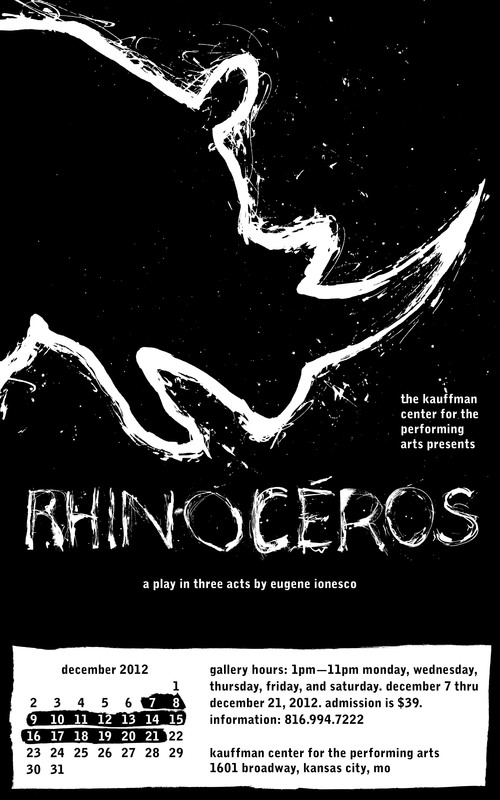 I created a poster, program cover, and ticket stub for Eugene Ionesco's play Rhinocéros. 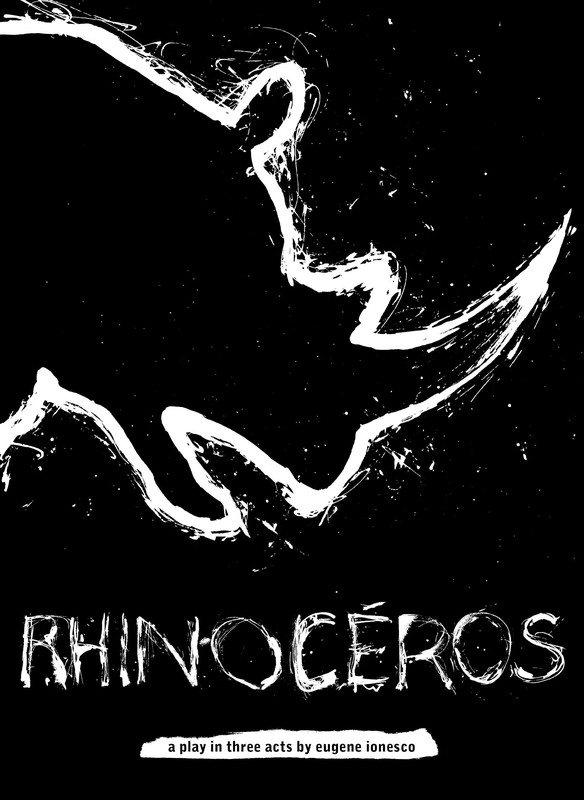 His play deals with themes of Communism and Fascism occurring after the second World War wherein members of a small town succumb to an unknown disease which turns them into rhinoceroses. I alluded to those themes by using striking, grimy, scribbled artwork, no colors but black and white, and fitting the typography with a bold, modern typeface.